Here’s another one of our favorite and most clicked projects on our blog. This piece is timeless and is still one of our favorite furniture makeovers to date! I looooove this! You did such a great job! It’s beautiful. 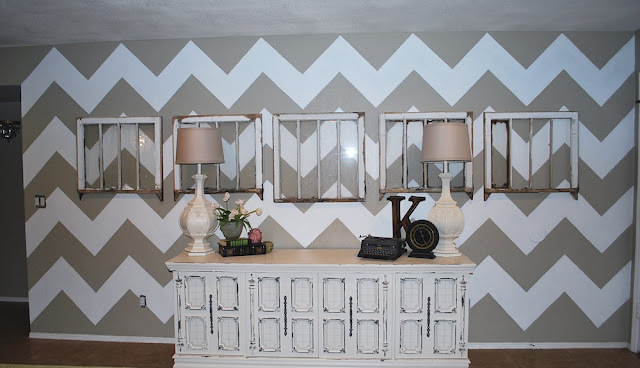 Also love your chevron wall- adorable!! Just found your blog and love it! LOVE! I’m not finding the tutorial. What am I missing? This is so spectacular. My favorite sideboard ever. Just found the exact buffet. Looking to do similar paint. Do you have tutorial on what paint colors you used?